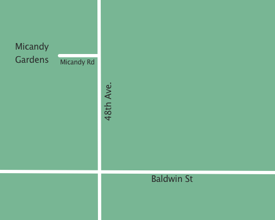 Micandy Garden Greenhouses is a family owned, horticulture greenhouse business that produces plants and flowers for other greenhouses, retail chains, garden centers and landscapers. We continually strive to improve customer satisfaction through constant attention to high quality, delivery and timeliness standards, while remaining competitive in the marketplace. In 1964, high school sweethearts Andy and Micki Buist married. Coming right out of high school and both raised on farms, they had no independent occupation. Grandpa Veltema suggested raising flowers. That was enough inspiration to set them on their course. The spring of 2017 was our 53rd growing season. We look forward to 2018 and beyond with the same anticipation as the previous 53 years! We want to keep you up to date on our most current young plant availability and offers. If you want to be added to our email list, let us know!